Last week the world of architecture and design lost one its true titans, Zaha Hadid. Haha Hadid was rarity, a woman who rose the top of the male-dominated architecture. Today, we are going to spend some time taking a look her career, with the help of Christopher Hawthorne's recent appreciation, the Los Angeles Times, of Ms. Hadid, "Appreciation A critic's take on the power of Zaha Hadid." Blogger's own recollections are of Ms. Hadid's presence looming large over the studio. Her work inspired both male and female students with their bold, yet sensous curves. 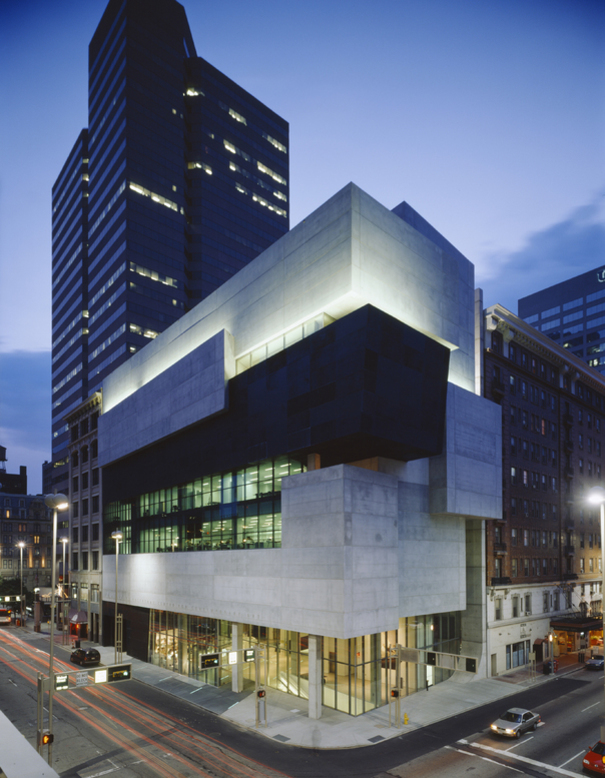 As phenomenal as her work is and despite being the first (and so far only) female architect to win the Pritzker Prize, the profession's highest honor, her gender and notoriety was always added into the mix. Zaha Hadid passed away two weeks ago, in Miami, Florida, of a heart attack. She was increasingly frustrated by the way her gender and reputation was factored into her work. Understandable, you can make a strong case that Ms. Hadid was just the most import female architect over the last quarter-century, but the most important architect, period, end of discussion. Like any larger than life figure, she was polarizing, a magnet for controversy, and according to Mr. Hawthorne, "...in certain ways the standard-bearer for an approach to architectural practice that has come in for intense scrutiny in recent years." In short, it is an approach that is founded on a single ideology, "...the meaning and power of architecture lies in its form-the more striking and unorthodox the better-than its social and humanitarian role." Forget any romantic notions about architecture saving the world. Her tenuous refusal to let go of this philosophy left her out step with the field. Christopher Hawthorne writes, "Even as leading architects-including Rem Koolhaas, with whom she briefly worked early in her career-pivoted away from form-making and toward a broader engagement with political or ecological issues," she remained true to her approach. Depending on your perspective, it was either "less nimble or more consistent." than her more opportunistic contemporaries. When Blogger was in architecture grad school, social, political, environmental issues were a constant part of the design and preservation conversations. Patrik Schumacher, Ms. Hadid's longtime partner at her firm Zaha Hadid Architects, has frequently defended the firm's working, posting long rant essays on the social media pages claiming that architecture has gone soft, lost focus. Mr. Schumacher taken particular umbrage to the manner in which Pritzker jury and the organizers of the Venice Architecture Biennale, the two foremost tastemakers, have continued to honor more socially minded architecture. Case in point, when the annual Pritzker was awarded to Alejandro Aravena, a designer best know for low-cost housing in Chile, Mr. Schumacher registered his complaint on Facebook. He wrote, The PC takeover of architecture is complete: Pritzker Prize mutates into a prize for humanitarian work. Although, Ms. Hadid seems to have taken few if any steps to moderate Mr. Schumacher's rants, she preferred to let her work do the talking for her. Actually, her buildings and one lawsuit. In 2014, Ms, Hadid sure the New Yirj Review of Books and Martin Filler, claiming that he made "false and defamatory" statements about her and Al Wakrah Stadium in Qatar, built for the 2022 World Cup Soccer Tournament. Mr. Filler wrote "that an estimated 1,000 workers had died while erecting the stadium, when in fact full construction at that point had yet to begin." 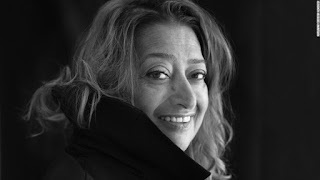 The New York Review was forced to remove the article and agreed to a settlement with Ms. Hadid last year. Nevertheless, despite the major factual error, Mr. Hawthorne writes, "...the piece was right to find Hadid vulnerable on accusations of caring too little about working conditions on her buildings." 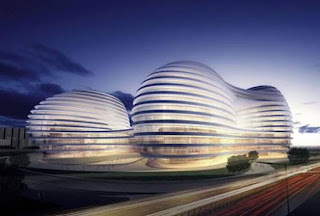 Haha Hadid's response was a dismissive I have nothing to do with the workers..It is not my duty as an architect to look at it drew well deserved criticism. Some of the lingering controversy has recently begun to obscure her achievements in architecture and the large-than-life role she played in the profession for over thirty years. Starting with the conceptual projects she was assigned at the prestigious Architectural Association in seventies London, as an architect in the Office of Metropolitan Architecture, then on her own-sketches, models, and large-scale paintings with their vertiginous perspective, Ms. Hadid introduced herself as a person with the power to reconfigure the profession. In 1983, she won the design competition for the Peak, a Hong Kong club with a Suprematist-referenced designed that was never built. 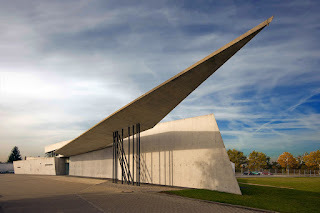 Haha Hadid's first work, the fire station on the campus of German furniture maker Vitra, was completed completed in 1993. The fire station was so loaded with "...ideas and shard-like strength that it hardly seemed to matter that it was never used for its intended purpose, existing instead as a kind of shrine to Hadid's work, a pilgrimage site for young architects from around the world." Some buildings are like that. 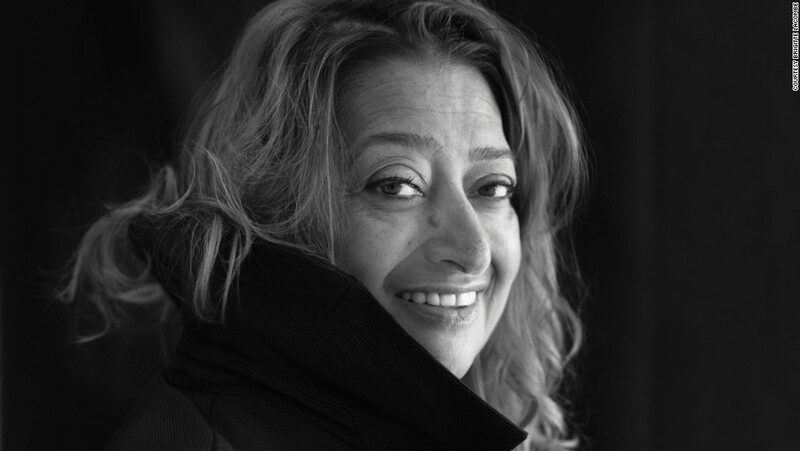 In recent years, running a big London-based firm and taking on global commissions, Ms. Hadid fully lived up to her potential with staggeringly diverse portfolio of work: museums in Rome, Cincinnati, and East Lansing, Michigan; an opera house in Guangzhou, China; an Austrian ski jump, the aquatic sports venue for the 2012 Summer Olympics in London; the BMW factory in Leipzig, Germany. 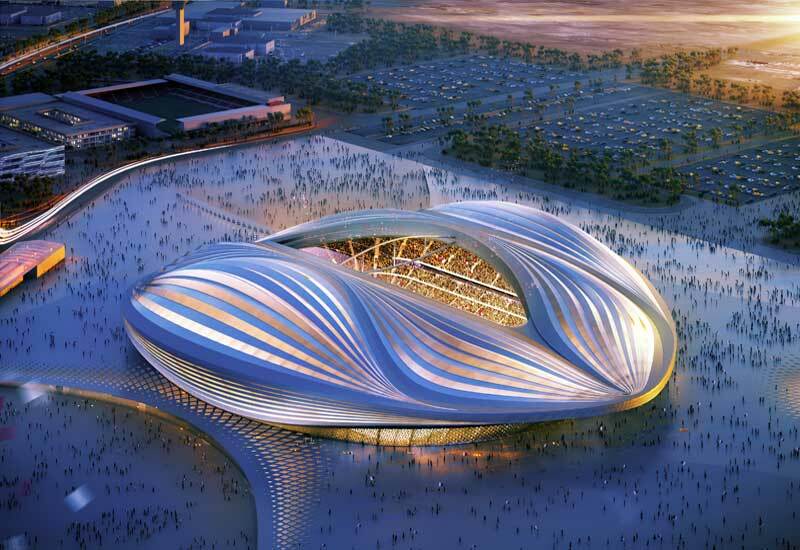 Controversy continued to follow Zaha Hadid for accepting commissions from autocratic governments not only in Qatar but also in the United Arab Emirates and Azerbaijan. To be fair, she was not the only one accepting commissions from these countries. 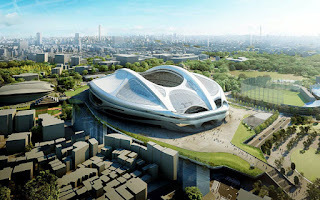 Her design for the New National Stadium for the 2020 Summer Olympic Games in Tokyo attracted a significant amount critical heat. After the budget ballooned past $2 billion, the government decided to hand over the project to Japanese architect Kengo Kuma. However, as powerful as work was, her legacy will be founded on how she shattered architecture's glass ceiling. That is a complicated question. Like many professional women, Ms. Hadid resisted being pigeonholed as a female architect. Not that being a female or an architect are two mutually exclusive things but as a female in an architecture-allied profession, Blogger can say with absolute certainty that no one wants to be held to a different standard based on gender. The profession standards and practices do not distinguish between male and female; neither should we. 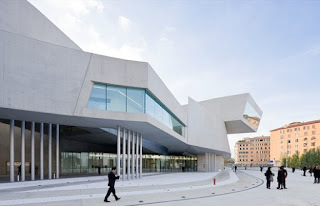 As enlightened as the architecture profession likes consider itself, the press could not resist discussing Zaha Hadid without using words like headstrong or "diva." Extremely unfair considering her fellow Pritzker honorees Rem Koolhaas, Richard Meier, and Jacques Herzog are no less primo dons. 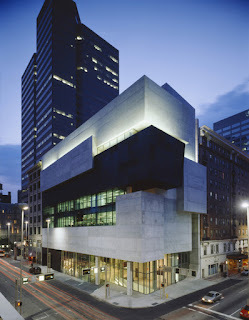 Yet, she broke ground for her career trajectory and the dynamic quality of her buildings. Zaha Hadid altered the power structure of a profession that needs to desperately evolve. Citing recent figures from the American Institute of Architects, Christopher Hawthorne writes, "...just 19% of registered architects in this country are female. The figures in other countries are similar, if not worse."